Vital information relating to historic Māori land records is now freely accessible to the public through a brand new website. 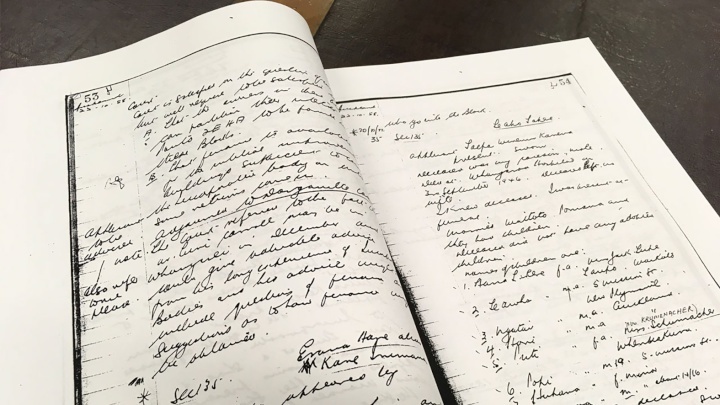 The Māori Land Court Minute Books Index has been made available by Libraries and Learning Services at the University of Auckland, run as a joint project by Special Collections and Digital Services. The index covers the Native Land Court (as it was then called) for the years 1865-1910. The Court established in 1865 to award titles and partition surveyed blocks of Māori land, was renamed the Māori Land Court in 1954. Minute books were kept of all proceedings. Finding information in the handwritten minute books can be difficult, so a group of librarians and researchers created the index in the 1990s. Over the years the information was attainable in the then modern formats of floppy discs, CD-ROMs, and a subscription database. Now anyone, anywhere, via the internet, can use the open access website to locate the relevant minute book. Once identified, researchers can request the correct book at particular libraries for further study. Copies of the minute books are held in major libraries around New Zealand (including Special Collections at the General Library, University of Auckland) and in district offices of the Māori Land Court, and Archives New Zealand who also hold the original minute books. It is a valuable resource for anyone researching a claim, local history, a case study, genealogy or whakapapa. To find out more visit https://collections.library.